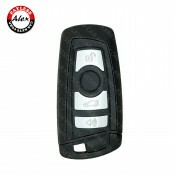 Remote Head key for VW Beetle, Golf, Jetta, PassatWill generally work for 1999-2001 vehicles1999-2.. Remote Head key for VW Beetle, Golf, Jetta, PassatWill generally work for 2002-2005 vehicles2002-2.. Remote Head key for VW Beetle, Golf, Jetta, PassatWill generally work for 2006-2010 vehic.. Brand new OEM factory original remote key fobik forDodge RAM 2013-2018 with suspension and remote ..
Ford Focus 2011 remote head key shell..
Aftermarket remote head key for Toyota Corolla 2015+FCC ID: HYQ12BEL with 128 bit H chip.. Replacement Key Case for Land Rover DiscoveryKey Fob Shell CoverKeyless Entry Remote Blank..